It’s cold outside! 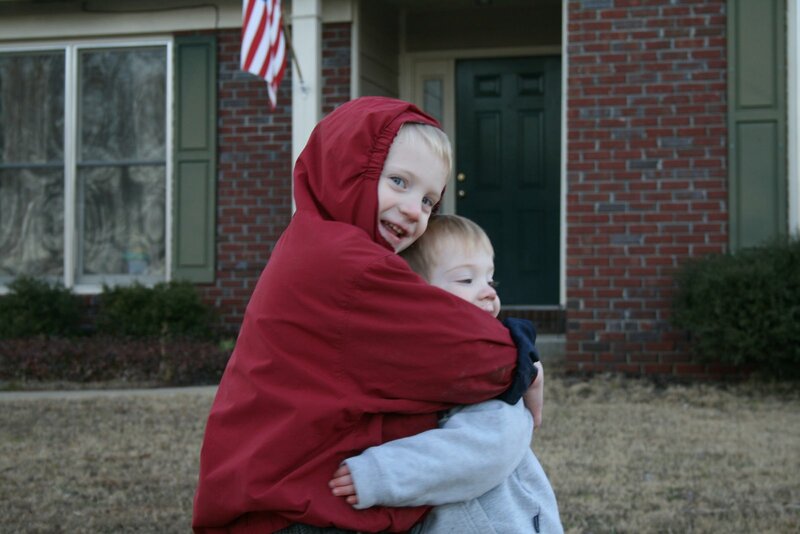 So cold that even Luke wanted to give a hug to Andrew (Luke hates being touched and is very non-affectionate so you better believe I took a picture when this happened). 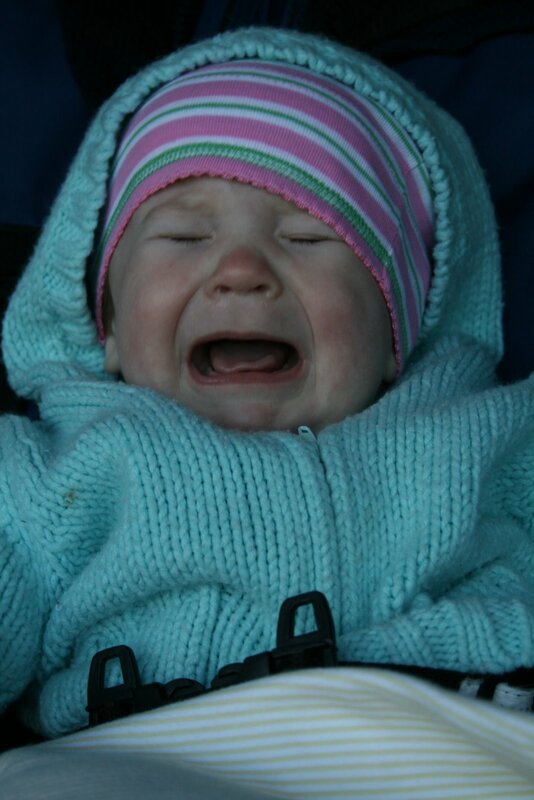 Mitch teased me – “You just let her sit in the stroller and cry while you took pictures of her?”. Don’t you remember flipping through old photo albums and finding pictures of you crying? There. That’s what I thought. Guess you had a mean mama like me. Crying babies are too cute. 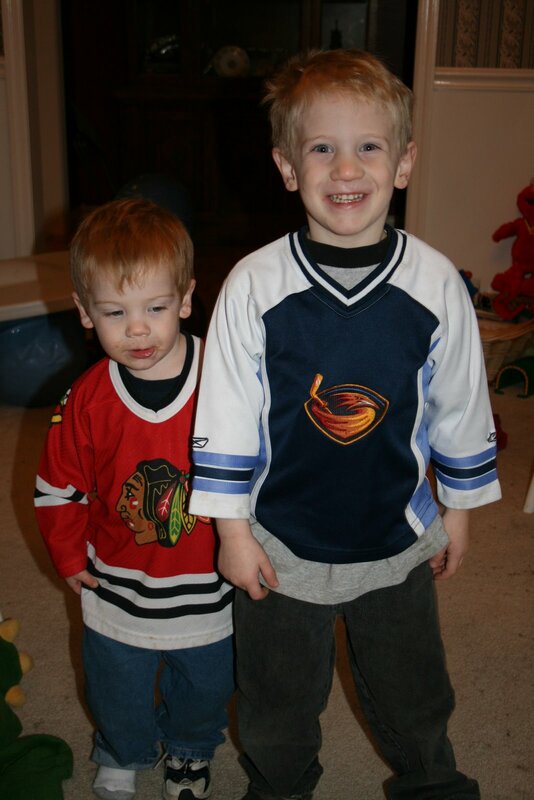 I have pictures of my kids crying. Love it!